The popularity of @MrSquiggle over the past month has impacted on the Voting Power of the bot. To ensure that delegators are receiving the best Voting Power possible, nominal changes to Voting %'s will occur from time to time to keep VP as high as possible. These could be up or down depending on the need at the time. The aim is to keep the same level of returns for the levels of delegation. I will not be increasing the minimum delegation amounts as I want as many people from the #TeamAustralia community as possible to be able to access the bot. From now on, only Australian's or #TeamAustralia members will be able to delegate and access the bot. The influx of Aussie's to the platform and the popularity of the bot has bought about this change as it was originally setup to support and build the Australian Steem community. 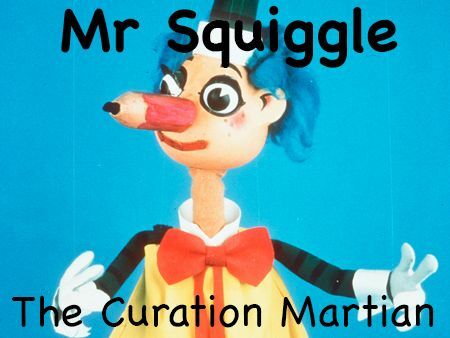 Anyone who is currently delegating to @MrSquiggle and is not an Aussie is still welcome to continue delegating as your support of @MrSquiggle to date has been greatly appreciated. Any users breaching these rules may not have their post voted on and/or be placed on manually voting as most vote posting is automated. In extreme cases, you may have you may be asked to remove your delegation. Finally, thank you to everyone for their patience with the voting at the moment. @MrSquiggle has been affected by some technical issue with his voting bot and Steemvoter going down also. @scooter77 has been vigilantly manually voting most posts that have been missed so please drop him a line and let him know if you have been missed at anytime. If there are also any questions at any time, please drop @scooter77 a line in Discord. Thank you to everyone for your support of @MrSquiggle! Currently, thanks to delegations, @MrSquiggle has 8900SP, but I would like to see that grow to make it a stronger community bot. Currently there are a number of delegators to @MrSquiggle who receive auto upvotes from the bot for contributing to his strength. A list of curators from the #TeamAustralia then also scour the great posts from the community to upvote and/or resteem. This makes the bot a truly community bot and is supported as a part of the #MinnowSupportProject. Delegating 100SP = ~0.70c upvote currently from @MrSquiggle. A 100% upvote from 100SP alone = ~0.01c currently. Great work Scooter, thanks for everything you do! Any that it misses I try to manually vote but I think the autovote has been getting your posts so far! Yeah it has, will restrict it to one a day with the tag though, sharing is caring or so my 4yo daughter says haha. What's the minimum amount you can delegate @mrsqiggle?